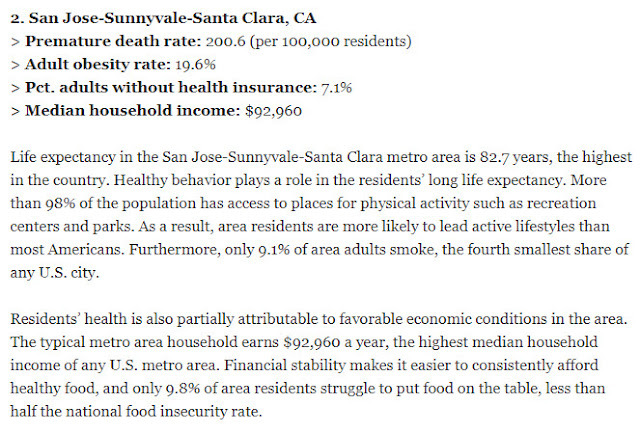 San Jose ranked as the second healthiest city in the country thanks to very low rates of premature death rate, adult obesity rates, and uninsured adults. Our life expectancy is also 82.7 years, the highest in the country. 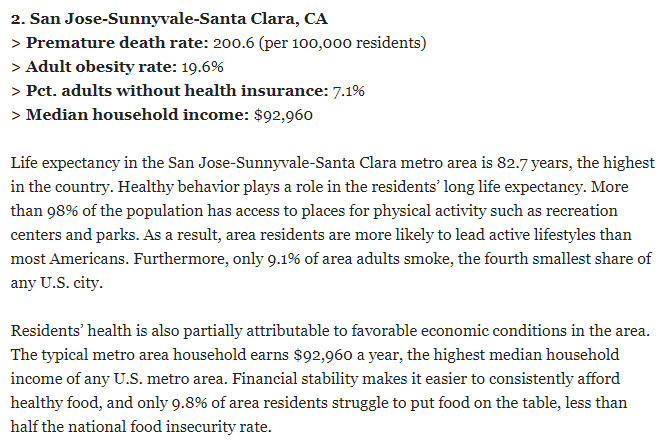 1st place went to Rochester, Minnesota while our neighbor San Francisco came in 14th place. Source: 24/7 Wall St., Hat-tip to Barclay Livker for sending this in!